Purity | Zonyxa. Unique and contemporary jewellery for Work. Love. Play. 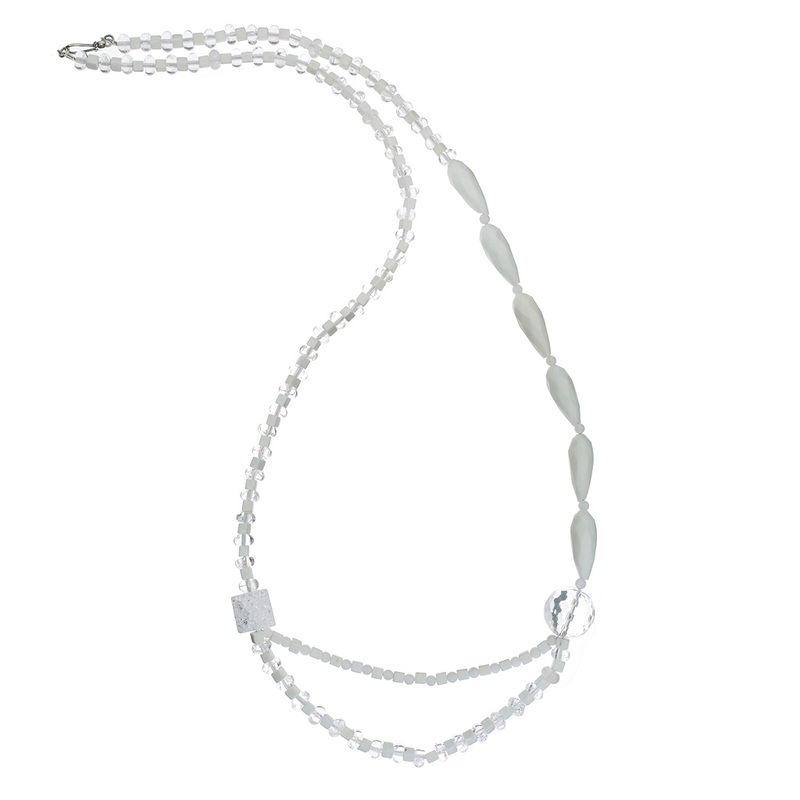 The soft brilliance and a pure ambiance of this long necklace results from its faceted teardrops of white agate, clear ice quartz roundels and tiny cubes of howlite and balls of white agate. Dominating the piece is a faceted clear crystal ball on one side and frosty quartz cube on the other. 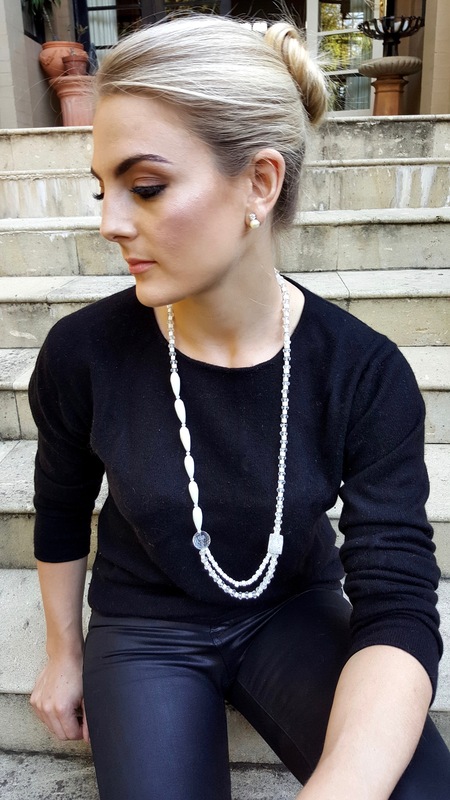 Stunning against a navy blue, dark grey or black outfit.